This feed store has been in the Heights forever. Back when my kids had rabbits (a gift) a chicken (another gift) and I knew nothing about them, I had to ask questions of someone. Quality Feed was the place, even back then. The kids are grown; the rabbits died of old age; the chicken (once it started crowing) went to a farm. (We didn’t ask what happened to it at the farm…My two boys were happy it had a good home on a farm, that’s all we needed to know) So, the animals are gone but the feed store is still there. 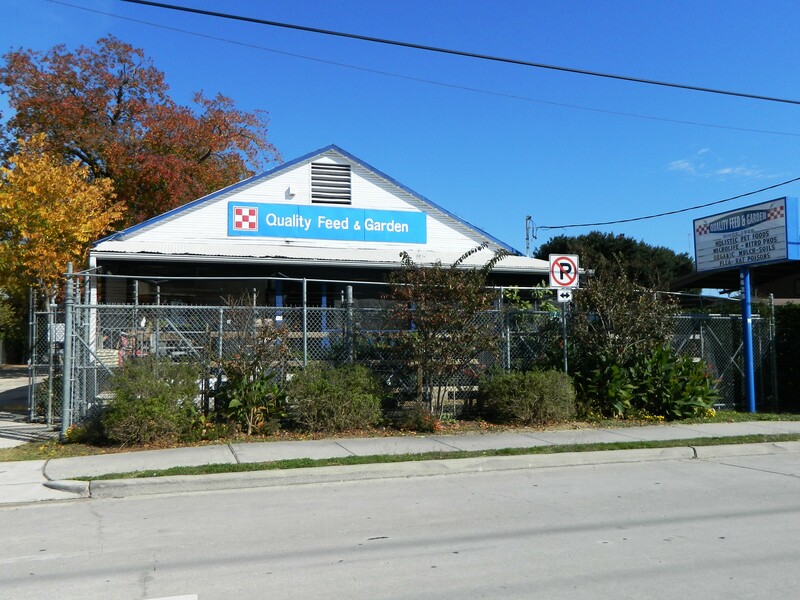 Quality Feed & Garden is as ubiquitous as Canino’s Market on Airline and adds to the quirkiness of the Heights. It has been written up in several publications lately. The Chronicle showcased it a couple weeks ago, as did the Heights Pages. 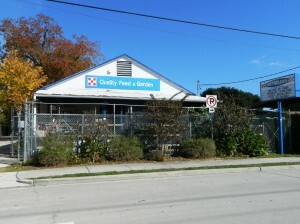 The store has been around since 1928 at 4428 N Main St., in the Heights. Back then it was farmers and rancher who frequented the store. Ken Cousino and Chris Bules bought it in 1991. As the fourth set of owners, they too had to adapt. Ken says, “What’s happened in the past 10 or 15 years is that young people have become concerned about where their food comes from. So not only on the gardening side are we going into more organic, more holistic approaches to gardening, now people are even starting to get into backyard chickens.” Organic gardening is big among city-dwellers now, who are more worried about factory food. Chickens is still a big part of their business; animals and feed. Ken is working to help change our city ordinance requiring a 100 ft setback from a chicken coop to any property line. This setback is obviously a little difficult to do in an inner loop lot. So, if you need quality feeds for more exotic animals, or even cats or dogs, or want gardening advice help is nearby.